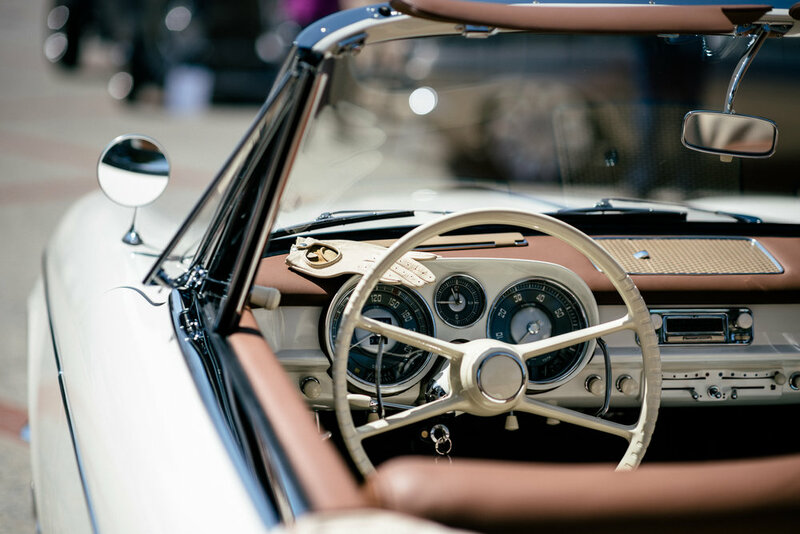 It is an understatement to say that we look forward to Monterey Car Week every year. Each annual collection of events brings something new and exciting, but still manages to not overshadow the previous year. 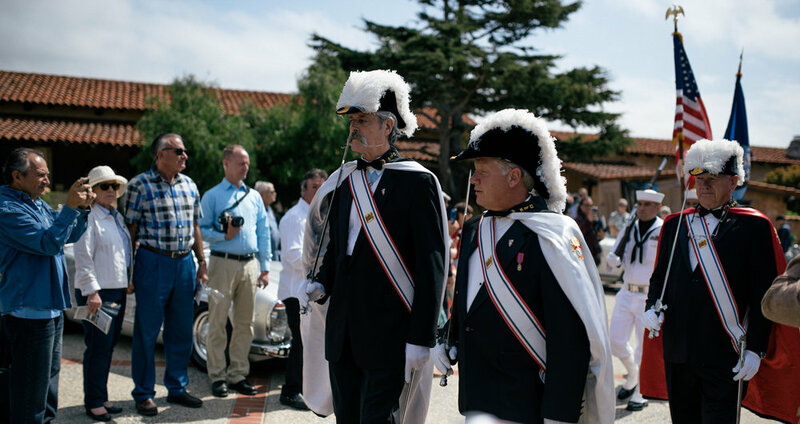 Yesterday we paid a visit to a gathering we have never before attended: the Carmel Mission Classic. This beautiful arrangement of classic cars, trucks, and motorcycles is cozily nestled within the walls of the 220 year old Mission. There is surely something for everyone, from ground-up, period restorations to rare finds to modernized machines. You are gifted a custom Carmel Mission Classic wine glass at the entrance, with which you can enjoy wine tasting throughout the day with some of the area's most adored wineries. There is a raffle, art vendors, and a BBQ for lunch. The opening ceremony includes a march of the Knights of Columbus, a welcome speech from Carmel's mayor, Steve Dallas, and the National Anthem. 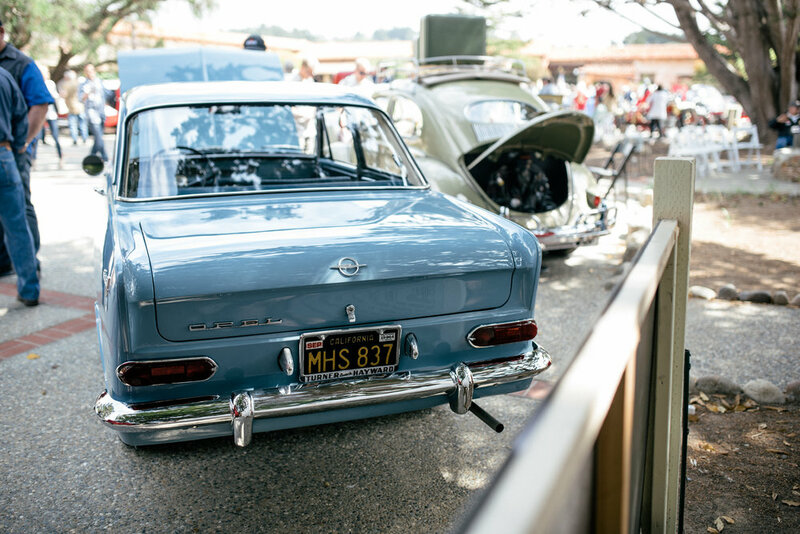 Both owners of the vehicles and guests mingled around the display vehicles, answering questions about rare models and whether or not everything was original. Conversation is easy when you're surrounded by cars that are their own history books. Attendees were able to place bids on some vehicles, if the need to take them home was strong enough. One particular row boasted an array of vehicles from the 40s through the 60s - a Chevy truck, a Nash-Healey Roadster, a VW Beetle, an Opel Kadett, a BMW Isetta, an Austin Mini Cooper, and an MG TD. This 1958 BMW Series II Cabriolet shown above was an incredibly rare treat. Found in poor condition in an east coast barn, the car underwent a complete restoration over the span of a few years. Karra, the owner, has numerous other BMWs and has a huge passion for the brand. She explained how difficult it was to find some of the chrome interior trimmings, and spoke of her adventures in previous Car Weeks and 1,600 mile long rallies. BMW Group Classic has offered to purchase the vehicle, but Karra would rather hold it in her collection for a while longer. Porsche of Monterey had their own small display, which interestingly only contained a couple of Porsches. The plus side was the live music that accompanied the cars in their corner. 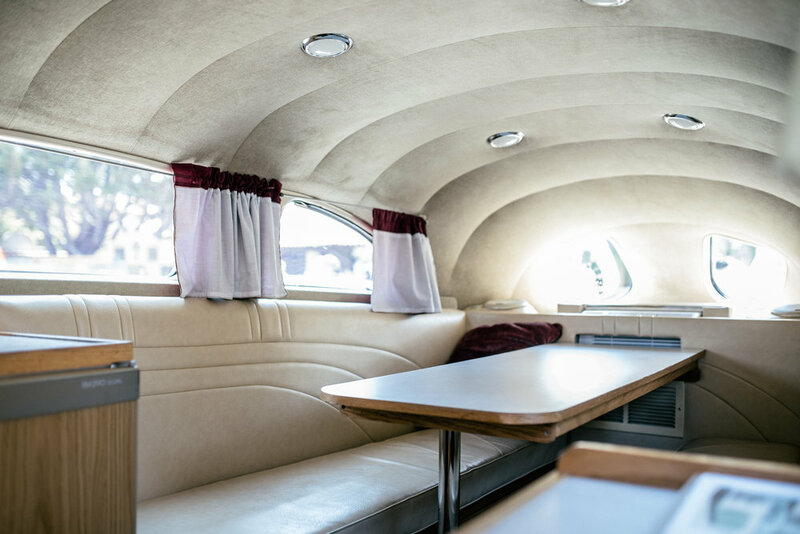 The largest and most noticeable vehicle in attendance was Art Himsl's 1937 Chris Craft Zeppelin Roadliner Motorhome. It sat at the center of the courtyard with one door open, and a quick peek inside revealed the most comfortable looking interior at the show. Turns out, it's powered by a Chevy V8 and equipped with air suspension, a refrigerator, and a microwave. It would be easy to ramble about the special stories of the other vehicles in attendance, so we're going to leave you with some mystery. Try to make it out to the rest of Car Week until Sunday, and maybe you'll see some of these examples for yourself!